The Multiclip Pro 53 SV self-propelled mulching lawnmower is designed for professionals and gardeners who simply want the best. This model features aluminium wheels with ball bearings for smoother running and a friction blade holder that protects the engine against damage caused by accidentally striking solid objects with the blade. An adjustable offset handle makes cutting close to walls and around obstacles very easy, while the unique Stiga anti-vibration system (AVS) means you can work a full day without the risk of White Finger or HAVS. This model is equipped with an environmentally friendly SVAN certified recoil start Honda GCV 190 OHC Autochoke engine with single speed transmission. With a 51cm/20" deck and 5 heights of cut ranging from 30-65mm adjusted by a single lever, this professional mulching lawnmower from Stiga will give a great finish to your lawns. The noise effect is very low, at 96dB - a reduction of 3dB reduces to the noise by half. 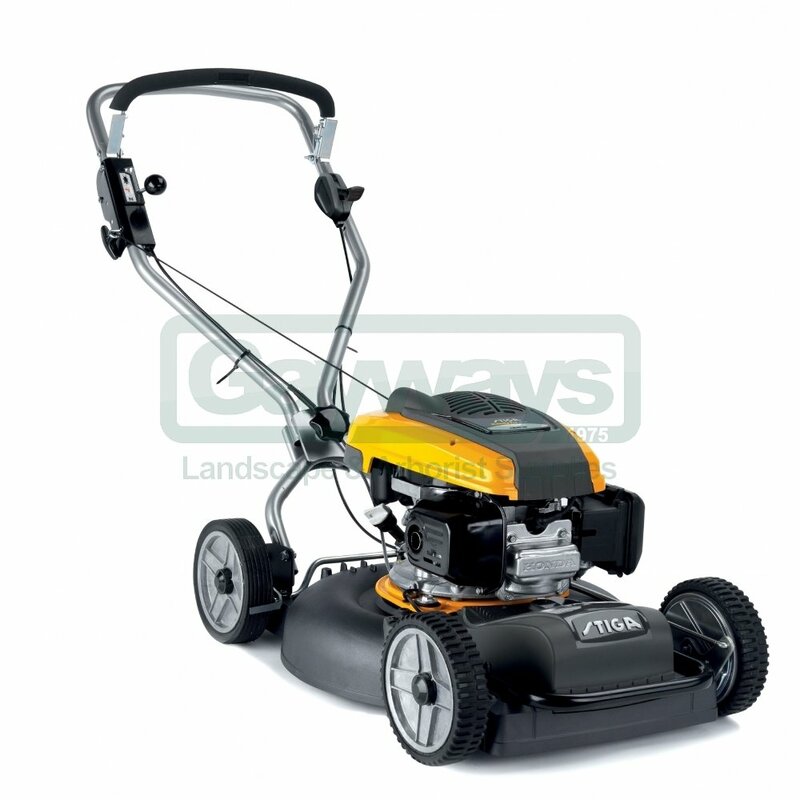 Multiclip Pro 53 SV professional self-propelled mulching lawnmower with robust aluminium chassis and wheels. Features include AVS, a Honda GCV 190 OHC Autochoke engine and friction blade holder. The chassis is laterally offset, which makes cutting along walls and around obstacles very lawnmower is suitable for larger gardens up to 50m x 50m.